Location. 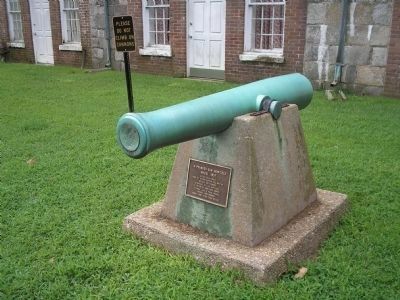 37° 0.147′ N, 76° 18.573′ W. Marker is in Fort Monroe, Virginia, in Hampton. Marker is on Bernard Road, on the right when traveling east. Touch for map. 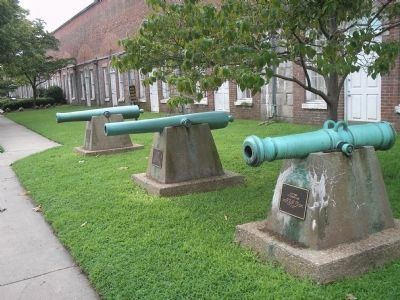 Marker is in Fortress Monroe near the entrance to the Casemate Museum. 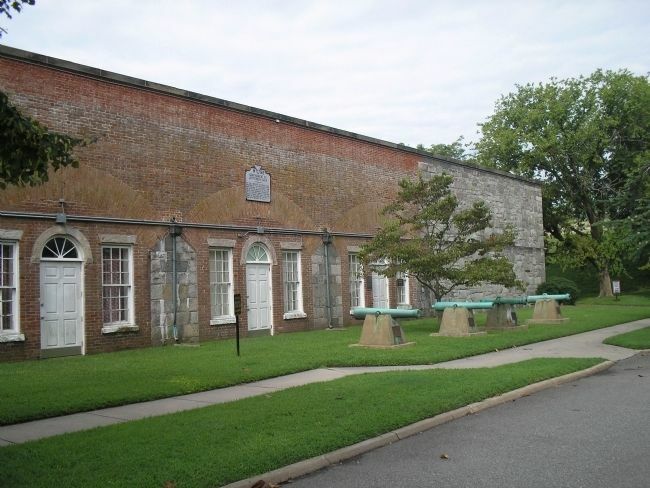 Marker is in this post office area: Fort Monroe VA 23651, United States of America. Touch for directions. Other nearby markers. At least 8 other markers are within walking distance of this marker. 14 – Pounder James Rifle (here, next to this marker); Austrian 6-Pounder Gun (here, next to this marker); Honoring Dr. John J. Craven (a few steps from this marker); Lieutenant John Trout Greble (a few steps from this marker); John Mitchel (a few steps from this marker); Confinement of Jefferson Davis (a few steps from this marker); a different marker also named Austrian 6-Pounder Gun (a few steps from this marker); Lantaka (a few steps from this marker). Touch for a list and map of all markers in Fort Monroe. The 12-Pounder Gun-Howitzer is the leftmost of the artillery pieces in this photo. More. 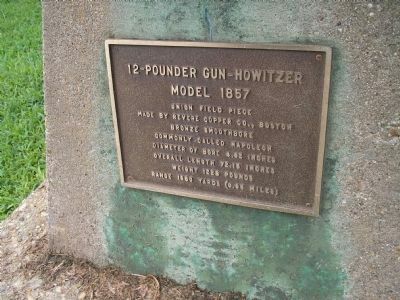 Search the internet for 12-Pounder Gun-Howitzer. Credits. This page was last revised on June 16, 2016. This page originally submitted on May 15, 2011, by Bill Coughlin of North Arlington, New Jersey. This page has been viewed 433 times since then and 10 times this year. Photos: 1, 2, 3, 4. submitted on May 15, 2011, by Bill Coughlin of North Arlington, New Jersey.